Love from the Mission School children, Sri Lanka!! Smyrna Informal Education Program started another successful year of being a strong pillar of hope and love for neglected, poor and distressed children. Children are so delighted in partaking in school activities like games, reading writing and handwork and many more. Some do call Smyrna Informal Education Program is their home. The Program is not only in their hearts but they do feel in their soulstoo. What an amazing joy to share with you all. 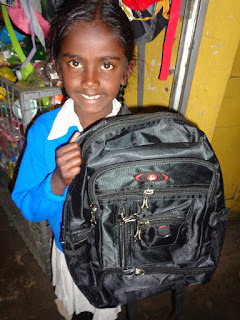 We are so honored to write about 15 children who were admitted to the Government schools. 7 children from NuwaraEliya, 6 from Kandapola and 2 from Ragala. Children who were between 7 and 12were selected and Smyrna was able to give a helping hand by putting them in suitable grades in Government schools. At the same time Smyrna was able to supply them stationeries, books, shoes and socks and school bags.In February and March we had a wonderful lady called Johanna a volunteer visiting us from Sweden and children were so happy to learn from her. She taught English.handwork and did sports activities. Out of 15 children 12 are girls. Our focus is to SAVE GIRLS. Unless the school is not there for these kids definitely they would have under child labor or early marriage. Smyrna is for individuals. Children who went to Government schools from NuwaraEliya and Kandapola.